1) Length - 4.55 mtr. 2) Width - 1.60 mtr. 3) Depth - 0.65 mtr. 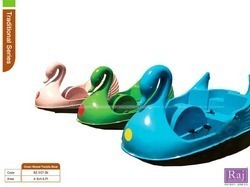 Aimed at prosperous growth in this domain, we are instrumental in manufacturing an excellent quality range of Kids Plastic Boat. Keeping in sync with the latest market norms and policies, we are indulged in providing a high-quality range of FRP Boat. 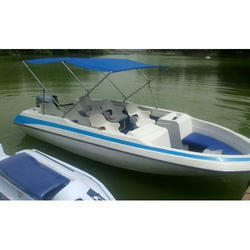 Being a quality oriented organization, we are involved in providing a supreme quality range of FRP Boat.